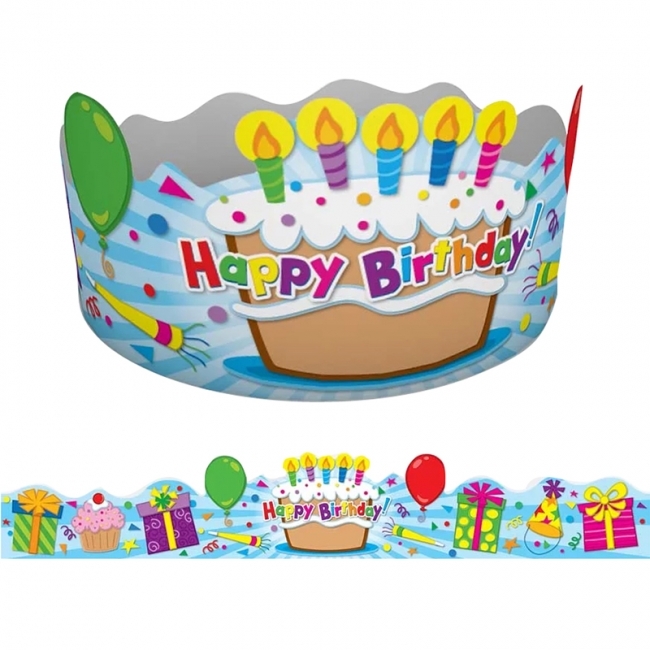 Birthday crowns are an excellent way to highlight your student's special day. 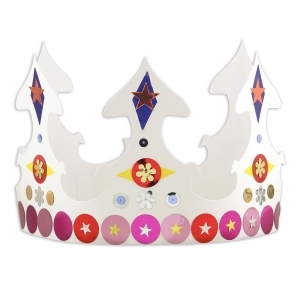 Boost student confidence with these fun, colorful crowns. 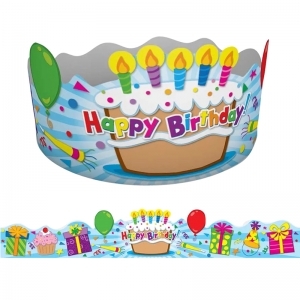 Each set contains 30 crowns measuring 23.5" x 6.25". 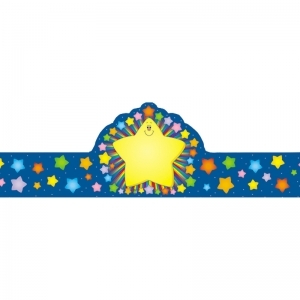 Highlight student achievements, good behavior, and special occasions by rewarding a different student each week with a Star Student crown. 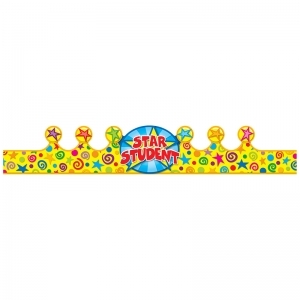 Boost student confidence with these fun, colorful recognition crowns. 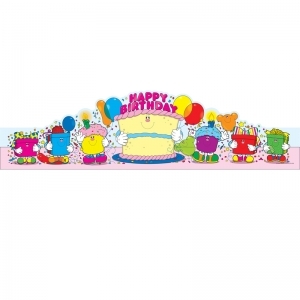 Each set contains 30 crowns measuring 23.5" x 4". 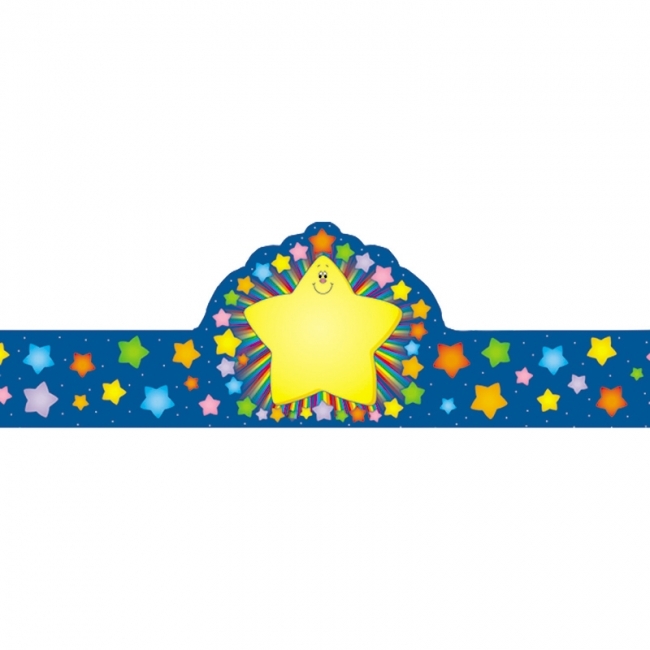 Crowns are an excellent way to highlight student achievements and special occasions. 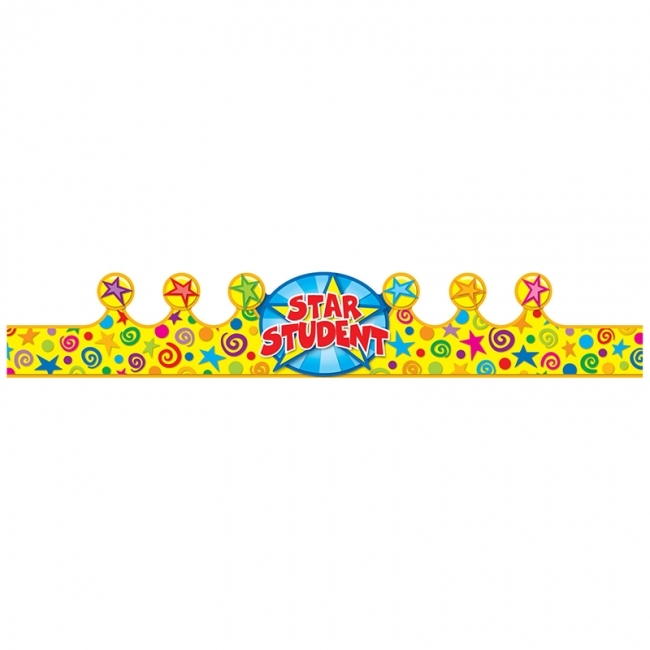 Boost student confidence with these fun, colorful recognition crowns. 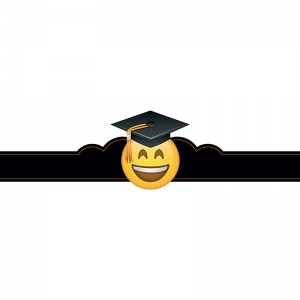 Each set contains 30 crowns measuring 23.5" x 4". 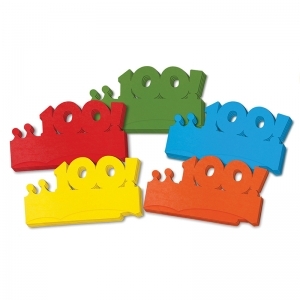 Celebrate the 100th day of school with these brightly colored paper crowns. Students will be king or queen for the day after they decorate their paper crowns. Design includes a slot on one edge to lock the crown ends together. Each crown can easily be decorated with various craft items. 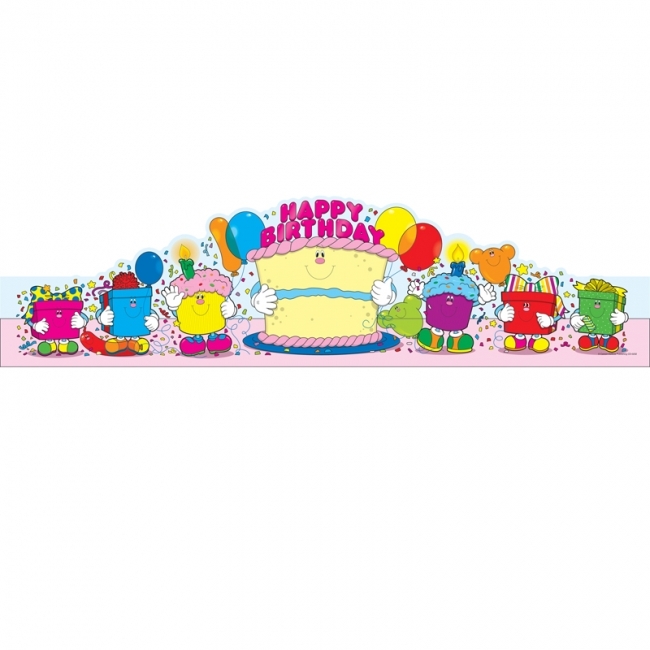 Each set contains 25 paper crowns in 5 assorted colors. Your students can wear these hats on field trips or for class activities and celebrations. 32 hats per package with notched ends to fit all. 8" tall with fold over bands. Hats are folded and packaged in a poly bag with a metal gromet and label. 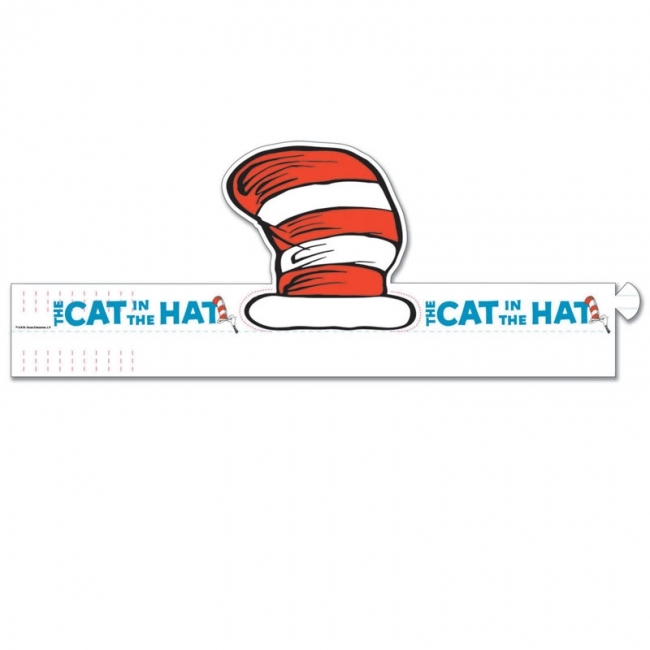 Students can wear these hats on field trips, class activities and celebrations like Read Across America. 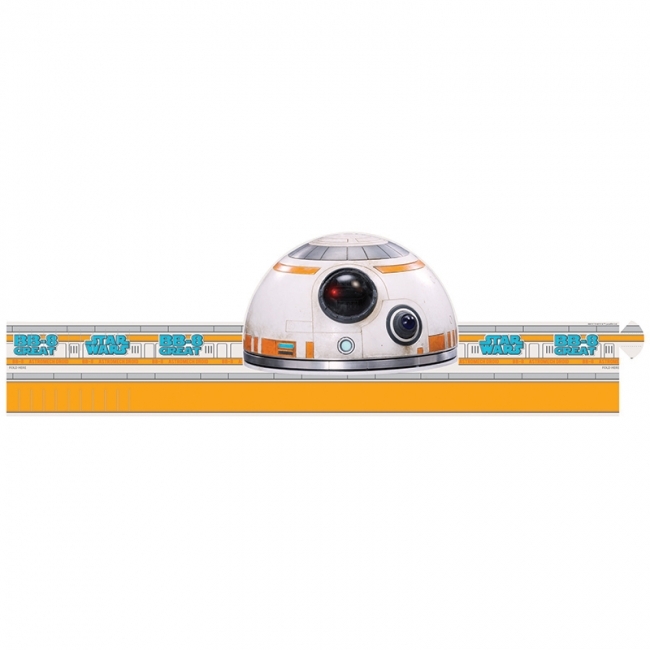 32 hats per package are notched to fit all sizes. 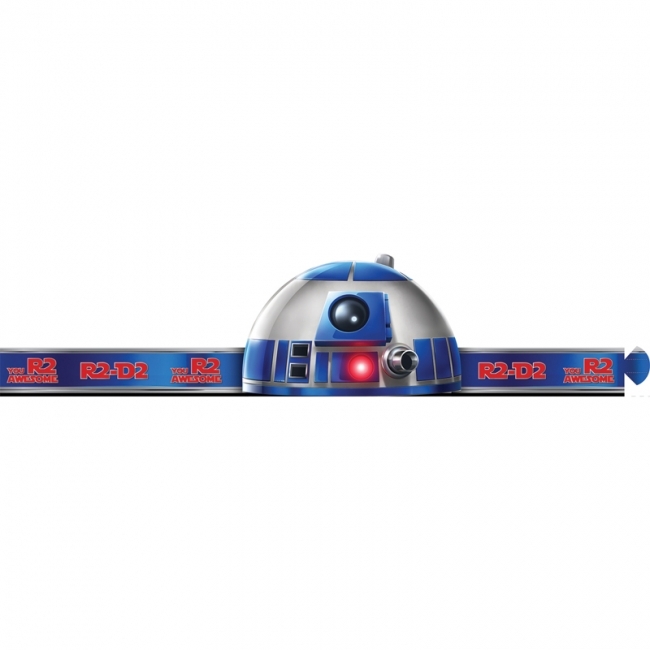 Kids will go nuts for Eureka Wearable Hats. Whether it's a birthday party, class trip or special occasion, children can wear these hats for all celebrations and have tons of fun. 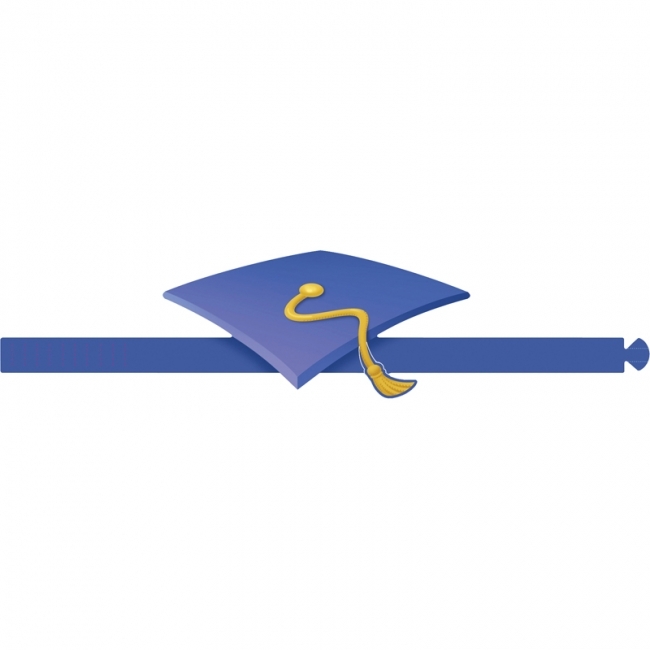 These hats are sizeable with fold over bands and notches to fit all students! Each hat measures about 8" tall. Each pack included 32 wearable hats. Kids will go nuts for Eureka Star Wars™ wearable hats. Whether it's a birthday party, class trip or special occasion, children can wear these hats for all celebrations and have tons of fun. Features notched ends to fit all. Each hat measures 8" tall. Each pack includes 32 hats. 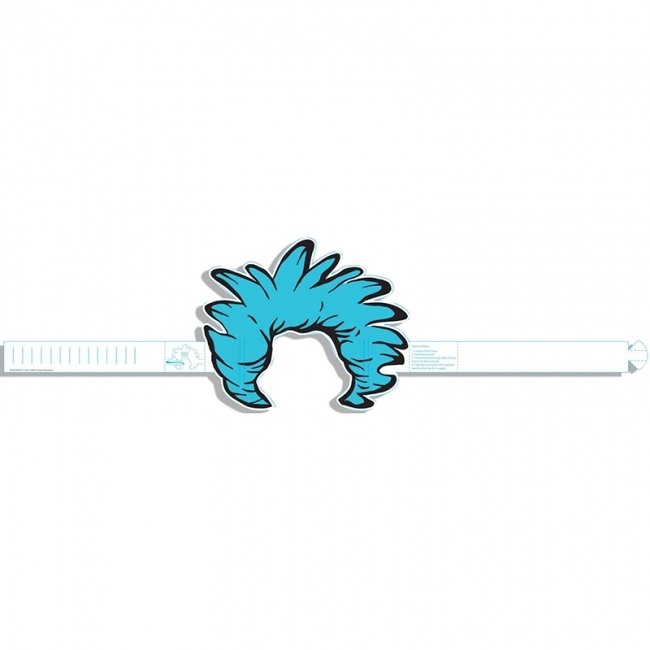 Kids will go nuts for Eureka Wearable Hats. 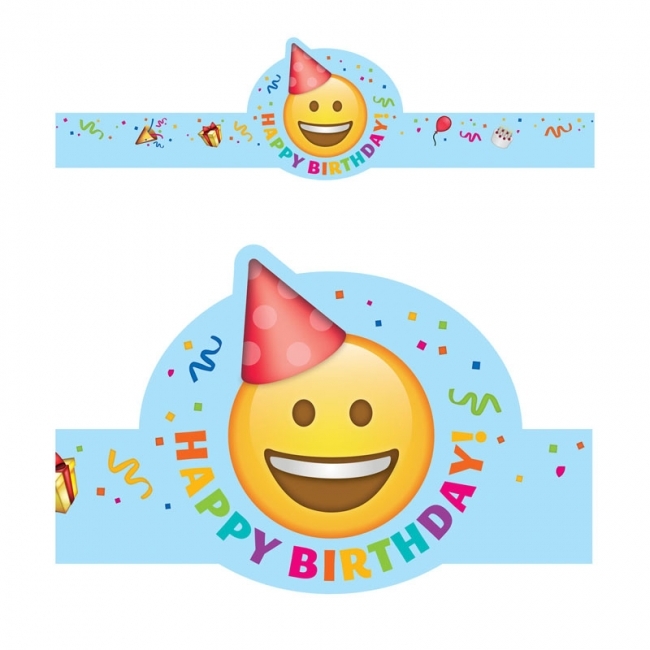 Whether it's a birthday party, class trip or special occasion, children can wear these hats for all celebrations and have tons of fun. These hats are sizeable to fit all students! 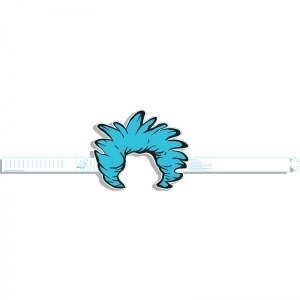 Each pack includes 32 wearable hats. Each hat measures about 8" tall. Fold over bands and notched to fit all. Packaged in a poly bag. Fun and creative. Kids will go nuts for Eureka Wearable Hats. 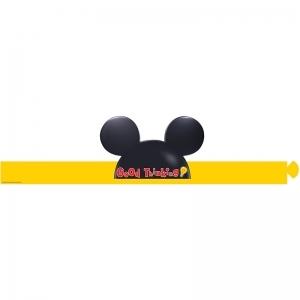 Whether it's a birthday party, class trip or special occasion, children can wear these hats for all celebrations and have tons of fun. 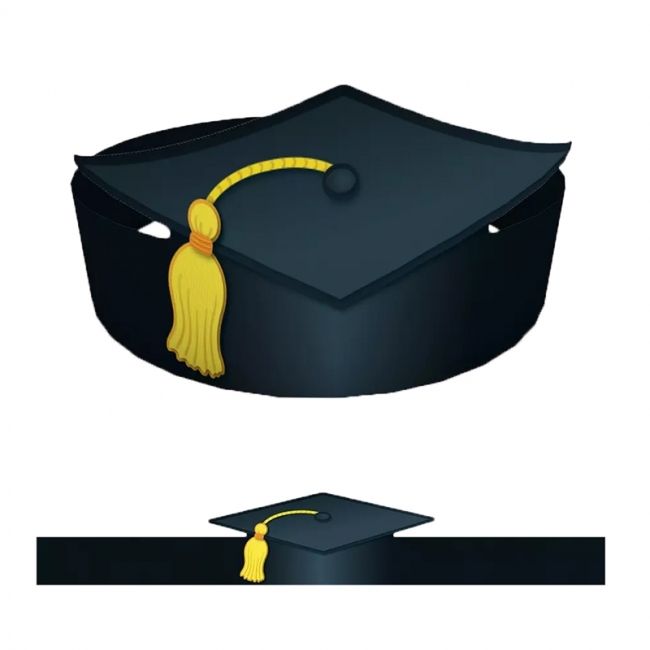 These hats are sizeable to fit all students! Each hat measures about 8" tall. Each package contains 32 hats with notched ends to fit all. These white card stock crowns are ready-to-go and are great for decorating and personalizing for any occasion.